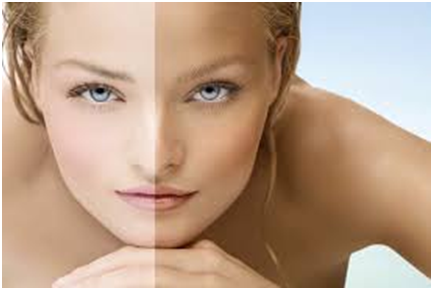 Silk Beauty now offering Spray Tanning Services! My product of choice is He-Shi. Why? It has a lovely olive undertone that suits Irish skins. When applied it doesn’t look orange. It’s alcohol free so it doesn’t dry out the skin. It contains Youth Revive a Moisture Lock Technology which helps improve skin hydration & condition while helping to combat the signs of ageing. It also contains Pro-Vitamin B5 & Glycerine which helps retain skin’s moisture & prolong tan. It’s quick drying & has a delicate fragrance – no more smelling like coffee-soaked biscuits! It contains 100% natural DHA & is not tested on animals. If you have an event like a wedding or special occasion it’s best to get your spray tan done 2 days beforehand. Ensure shaving & waxing has been carried out at least 24hrs in advance to prevent tan clogging the pores. Hair removal after tanning will completely remove the tan. You must exfoliate (on dry skin, paying particular attention to elbows, knees hands & feet) the day before or at least 4hrs prior to tanning – this will remove the top layer of dead skin allowing the tan to be absorbed quickly & wear off evenly. Do not apply moisturiser, deodorant or perfume as they will act as a protective barrier or react with DHA e.g. turn the underarms green. EEK! Remove all jewellery, wear loose dark clothing & flip flops. Avoid straps and/or wear a strapless bra until the following day. Do not shower for 8hrs after tanning – it’s best to leave tan overnight for skin to fully develop the colour. When showering do not use shower gels, soaps or exfoliating creams as these will strip the colour. After showering, pat dry with a towel – do not rub! Moisturise, moisturise, moisturise! This will maximise the length of time your tan lasts. Morning & evening preferably. The tan will only go patchy & scaly if the skin is dry & not moisturised. Before another tan application a full body exfoliation should be carried out. If you suffer from any of the following conditions, a spray tan may not be the right option for you. Please check with your therapist when making an appointment. A recent operation / scarring – wait at least 6 months for skin to heal itself. Open cuts, wounds, recent body piercings / tattoos if red or infected. Certain Medications that may promote skin sensitivity. * Pregnancy – there are no known dangers but tanning lotions can sometimes cause an allergic reaction. Changes to hormone levels can make the skin more sensitive during pregnancy so a spray tan is not advisable. If using fake tan, check with your doctor first & test the product on a small area of skin to see if you have a reaction. The active ingredient in self tanners is Dihydroxyacetone or DHA. DHA is a derivative of sugar which reacts with the skin causing tanning to occur resulting in a natural glow. The skin is made up of several layers. The outer layer of the epidermis is called the ‘horny layer’ & the cells here are hardened dead cells which hold the protein melanin. When DHA is applied to the skin it works by breaking down the melanin allowing a tanning effect to occur. The tan will appear within 2hrs and cannot be washed off. Your tan will naturally fade as the skin’s cells fall off. The depth of colour will depend on the amount of DHA in the tanning formula & your natural skin tone.